Sunday was another day spent out antiquing. We hit the Antique Mall in south county and the Wentzville flea market. I came home with a few things for my craft projects. 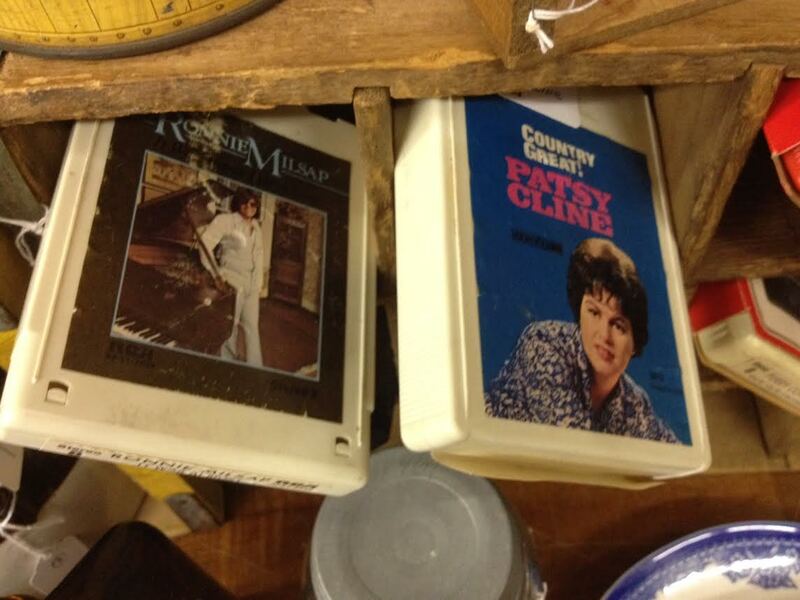 Just before my phone died, I snapped this photo of two of my favorite singers on 8 Track. These were still pretty popular when I was a kid. Mom and Dad often played 8 tracks on the stereo console on Sunday afternoons. I didn’t buy these since I have no way to play them, but it still brought back fond memories. Patsy Cline’s airplane took off from my home town just before it crashed. Her music, and Ronnie’s, has always resonated with me for some reason. Yeah, it’s a nostalgic part of my childhood probably, but that’s okay. We always remember the music that provides the background tracks to our lives.